VSDC 2.3.0 focuses on downloading, burning, and converting videos. 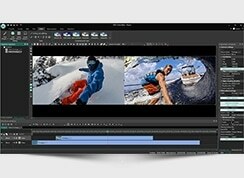 The new VSDC Free Video Editor 2.3.0 update released by Flash-Integro adds 3 dedicated utilities to download, burn, and convert videos, speeds up exporting and preview, reduces memory consumption and improves the use of multi-core CPUs for fluent and smooth performance. 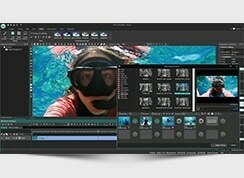 VSDC Free Video Editor keeps delivering new functions and options with every version. And the latest one brings an impressive number of useful options too. In the center of the new update are: enhanced performance of the application thanks to reduced memory consumption, better utilization of CPU multiple cores, and the reworked algorithms of cubic and supersampling interpolation resulting in 3 to 4 times faster resizing. The latter option also greatly speeds up exporting and previewing of videos. Parallel processing of scenes on multiple CPU cores increases the smoothness of previewing and promotes 50-100% faster format converting. 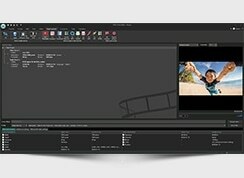 In addition, VSDC Free Video Editor now features 3 new capable tools to manipulate videos easier. The first instrument is a video format converter equipped with optimized format-to-format conversion presets. While in-editor conversion is still possible, using a devoted tool delivers better size/quality ratios. The disk recording utility can now burn any files the user wants to a CD/DVD/Blu-ray disk, not just projects created in VSDC Video Editor. Finally, the Downloader tool can retrieve videos for editing from multiple web video services starting from YouTube. 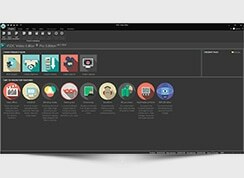 Among other novelties are full-featured group operations in the Wizard for easier handling of multiple objects in the timeline, better thumbnail visualization, and new filters and effects that also work faster than ever before. 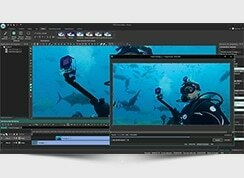 VSDC Free Video Editor is perhaps the only video editing solution of such versatility and ease of use that is offered for free, no strings attached. 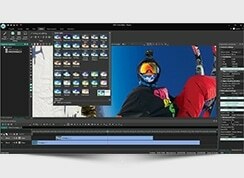 And the latest update sets the new standard for a free video editor.